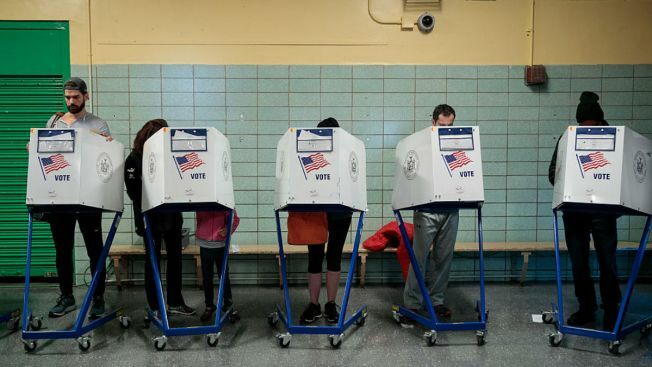 The Illinois Senate failed on Wednesday to overturn a veto on legislation that would withdraw Illinois from contentious multistate voter registration system. The vote to override Gov. Bruce Rauner's veto was 35-21 Wednesday. An override requires 36 votes. Chicago Democratic Sen. Kwame Raoul's measure would have removed Illinois from the Interstate Voter Registration Crosscheck Program run through the Kansas secretary of state's office. It was designed in 2005 as a way to help four neighboring states share information and clean voter rolls by making sure voters weren't registered in more than one state, intended to flag duplicate registrations across state lines. The program has grown to include about two dozen states, including Illinois, which began submitting information in 2011. Critics say the program is inaccurate and vulnerable to hackers. Questions have have been raised in Illinois and elsewhere about the security of passwords, accuracy of the information and the political leanings of Kansas Secretary of State Kris Kobach, who oversees Crosscheck and helped lead President Donald Trump's now-disbanded election fraud commission. It was investigating unproven claims of illegal voting in 2016. The Illinois Legislature voted to withdraw from the system after the Board of Elections rejected a similar effort on a 4-4 partisan vote, with Republicans against leaving and Democrats in favor. Rauner's veto message said the battle against vote fraud is fought by cross-referencing voter information from several states.